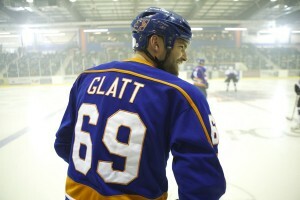 Seann William Scott in "Goon." ©Magnet Releasing. (Click on photo for hi-res version). HOLLYWOOD—Seann William Scott, best known as the trash-talking Stifler in the “American Pie” comedies, is having a comeback after an extended absence from the big screen. Having gone through rehab last year for “health and personal issues,” the big, blond funnyman has two films debuting, including the fourth “Pie” installment titled “American Reunion,” which brings together most of the cast from the original 1999 film for more gross-out hijinks. 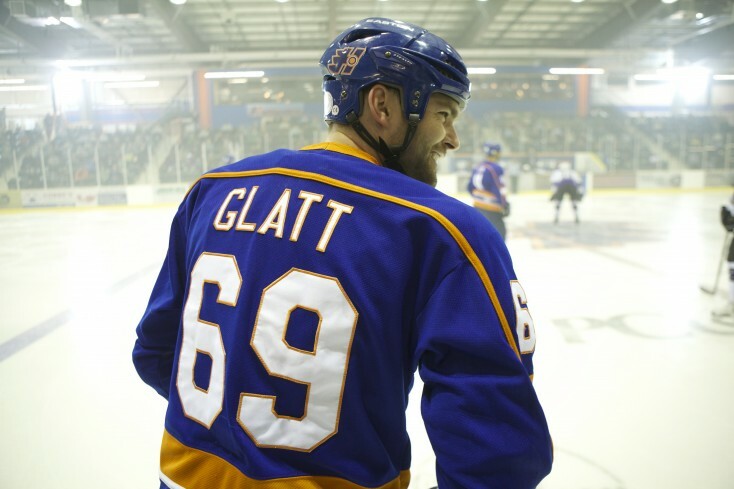 It’s Scott’s performance in “Goon,” though, in which he plays a minor league ice hockey player, who’s willing to leave “blood on the ice” for his team, that is sure garner some much overdue respect from audiences for his acting chops. The comedy, written by Jay Baruchel and Evan Goldberg (“Superbad”), and directed by Michael Dowse, is based on a semi-autobiographical novel by Adam Frattasio and Doug Smith. Scott, 35, says it was the kind of role he wished he could have gotten a decade ago. But the Minnesota-born actor says he has no regrets about his career. He’s simply excited to have an opportunity to show what he’s got, even if he had to fib about his skating skills to get the role. Front Row Features: You knew how to skate beforehand, right? Seann William Scott: No. I was probably better than most non-skaters but I hadn’t put skates on since I was a little kid, which I didn’t tell them in the first meeting. But I did the best I could before the shoot to practice, and what you see in the movie are my highlights. Front Row Features: What was more difficult: the skating or the fighting? Scott: I’d have to say the fights were pretty intense but it was worth it. Front Row Features: It’s pretty violent. Were you injured? Front Row Features: Were there any bumps along the way in getting this film into production? Scott: Yes. We almost lost our financing a couple of days before we were supposed to start shooting. Front Row Features: Your writer and co-star Jay Baruchel said there would be no movie had they not gotten you? Front Row Features: There’s a lot of trash talk in this film. Do you feel like you dodged a bullet because none of it came out of you? Scott: I didn’t feel that way. It was fun to be on the other side of it. It was fun to watch the other actors act rowdy and naughty. I didn’t have to worry about being funny in that way. I was probably more preoccupied with doing a good job with the role and trying to be in it. It’s exhausting to try and be funny and have that energy (I’ve had in other films) and sit back and watch these guys be inappropriate. Front Row Features: What workouts did you have to do to get your body in that great shape? Scott: It wasn’t so hot. You don’t see me with my shirt off in the movie. There’s a reason for that. To be honest, before the movie got it’s funding, I’d been training my whole life as an athlete and I always try to stay in shape. I’m the kind of guy that if I don’t work out, I will get bigger and look like one of the guys who used to play sports. When we knew we were going to do the movie, it was a combination of changing how I trained. Instead of going to the gym, I just had to gain weight, which is easier. I thought the only way it would look legit to take on these (hockey player co-stars) was just to look bigger. It wouldn’t make sense for my character to be a gym rat. Front Row Features: What did you think when you saw yourself onscreen bulked up? Front Row Features: What did you like about your character? Scott: It’s what Jay wrote and the direction. He’s written to be such a lovable guy and so good to his core. It was written with that specificity. I consider myself to be a good guy so it’s not hard for me to play that. Front Row Features: Your character sees the world in a very simplistic way? Scott: That’s exactly how it was written. There were times when we were filming the movie I was always aware of wanting to make sure I could bring to bring some color to the character, but it already was written with that kind of code of honor he has. He’s self-aware of the kind of guy he is and where he is in the world. Front Row Features: Did you love and understanding of hockey before you made this? Scott: No. I knew baseball, basketball, and football. I’m still kind of new to the game, but I love it now. I just can’t play it. I’m terrible. Front Row Features: What was the toughest part of making this? Scott: I remember going home often feeling like I had been bullied, because there was this scene where they’re making fun of my character, and we shot it over and over, all day. I went home and I go, “I gotta call my mom. What’s going on here? Why am I so sad?” I guess that’s what real acting is like. But it was a ball for me. Front Row Features: Your character has quite an arc and is so empathetic. Do you think this is a change in the direction of your career? Scott: This is a movie I would have loved to do when I was starting my career. The difference is you need the opportunity. For me, if I had been typecast, for sure, but I appreciate every job I get and I have to make the best of it. This was a chance for me not to have to make the best of it. It already was great. I got this opportunity to work with filmmakers who believed in me as an actor from the very beginning, before I was aware of the project. I’d love to continue to be challenged like this but then I had to go back and do “American Pie 4” (“American Reunion”) and I had an awesome time. Front Row Features: What kind of role would you like to play? Scott: I haven’t decided what I want to do next. I haven’t read anything I’m in love with. I love “Goon” so much. I’m going to Australia to promote “American Reunion,” which I love. Scott: We set out to make a great comedy with these characters. If I was going to play this role again for the fourth time, I didn’t want it to be cheap. I’ve already been typecast. It doesn’t bother me but if I was going to do it again, I wanted it to be a stand-alone, great comedy, and it exceeded my expectations. The guys are in their thirties now. They’re dealing with a little bit more real stuff, so there’s more substance to it while being real funny. Coming back for the high school reunion feels like a direct sequel to the first (“American Pie”). I was surprised it has a lot of heart and romance for that kind of movie. Front Row Features: Is Stiffler married now? Scott: Oh no! He can’t get a date.